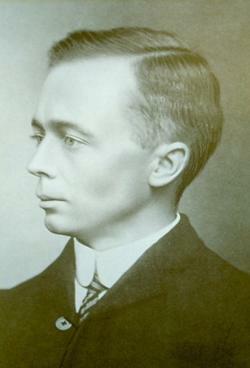 Professor Harold Pearson was the first director of Kirstenbosch, 1913-1916. He lies buried beside a magnificent Atlas cedar overlooking the Cycad Amphitheatre and the Dell. His epitaph: ‘If ye seek his monument, look around you’ is a fitting one for the man whose vision and energy led to the establishment of Kirstenbosch and the National Botanic Gardens, which has evolved and expanded over the years to form the South African National Biodiversity Institute (SANBI). The Atlas cedar (Cedrus atlantica var. glauca) is indigenous to the Atlas Mountains of Morocco. This cedar was a gift to Pearson from the Royal Botanic Gardens, Kew. The Kew tree originally came from La Mortola in Italy. The Kirstenbosch specimen arrived, as a seed, on 21 August 1916. The sapling that was raised in the nursery was planted next to Pearson’s grave in 1919. On 17 January 2015 a substantial limb, almost a third of the tree, fell, toppling Pearson’s headstone and breaking off one arm of the cross. The cross was repaired and the headstone restored to its position. Pearson’s cedar is still going strong, with just the hole in the north side of its trunk as evidence of the loss. Pearson devoted much of his time to the study of gymnosperms and was an authority on them. He travelled throughout Namibia and Angola doing research on Welwitschia and collected over 300 cycads. This collection formed the basis of the living collection of cycads at Kirstenbosch, and was the first collection of plants to be established at Kirstenbosch. Henry Harold Welch Pearson was born in 1870 in England. After a brilliant career at Cambridge he visited Ceylon (now Sri Lanka) on a travelling scholarship and worked in the Peradeniya Garden in Kandy. He returned to Cambridge and was appointed assistant curator of the University Herbarium. He then spent four years as the assistant to the Director at the Royal Botanic Gardens, Kew. In 1903 he came to Cape Town to take up the position of Professor of Botany at the South African College, the first Professor in the Bolus Chair of Botany. He saw the need for a botanic garden in Cape Town and gained the assistance of many influential people such as Sir Lionel Phillips, John X. Merriman, Chief Justice Lord de Villiers and Rudolf Marloth, to achieve that goal. 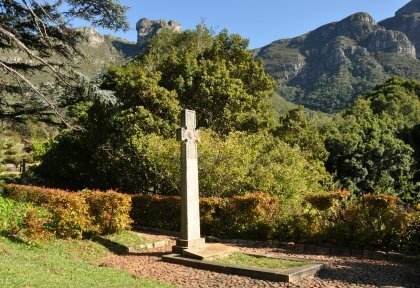 It was not an easy road but after years of arguing, persuading and planning, on the 1st of July 1913 a wild and overgrown farm called Kirstenbosch was handed over to the Board of Trustees by the Government with a grant of £1000 per annum. Pearson was appointed director, but as there was no salary, he accepted the task in an honorary capacity. Mr. and Mrs. Pearson moved into the dilapidated house at Kirstenbosch, the old homestead long being in ruins. Their house was an old stable in the Dell, and was described as ‘two small rat-infested rooms, damp in winter and dusty in summer’, and the kitchen was a lean-to structure outside. Pearson attended to his duties as Professor of Botany four days of the week, and devoted his time to Kirstenbosch on Wednesdays and the weekends. He was ably assisted by the Curator, J.W. Mathews and very few other staff. Much of the early work consisted of clearing rubbish and alien plants. They restored the bath, established the stepping stone path through the bath stream in the Dell, and planted ferns, Streptocarpus and Pearson’s collection of cycads. They cleared and established the main lawn and pond, and laid out the Koppie. In 1915 Pearson moved into the new Director’s house, but in 1916, at the age of 46, he died of pneumonia which he contracted in hospital while recovering from an operation.